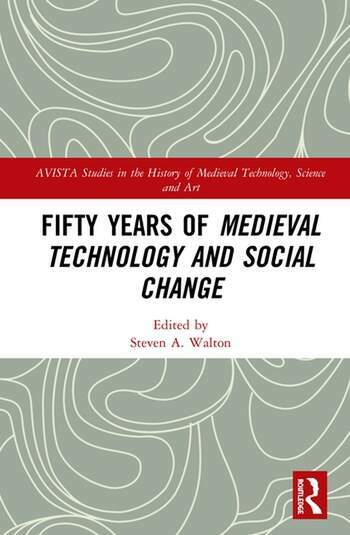 This volume brings together a series of papers at Kalamazoo as well as some contributed papers inspired by the fiftieth anniversary of the publication of Lynn White Jr.’s, Medieval Technology and Social Change (1962), a slim study which catalyzed the study of technology in the Middle Ages in the English-speaking world. While the initial reviews and decades-long fortune of the volume have been varied, it is still in print and remains a touchstone of an idea and a time. The contributors to the volume, therefore, both investigate the book itself and its fate, and look at new research furthering and inspired by White’s work. The book’s structure is divided into three sections. The first three papers deal explicitly with the reception and longevity of Lynn White Jr.’s work and its impact on medieval studies more generally. Then two groups of three papers look at areas where White’s work has had a particular impact, namely medieval technology studies and medieval rural/ecological studies. Bibliography of Works by Lynn White, Jr. Does the History of Technology Stand on the Shoulders of Giants? A possible precursor of medieval tower-clock frames? Steven A. Walton is an associate professor of history at Michigan Technological University, having previously taught at the Program in Science, Technology, and Society and the Center for Medieval Studies at Penn State University. He is a former president of AVISTA.